Colfax (population 989) is located in eastern Illinois. Illinois Route 165 runs through the northside of town. The Mackinaw River flows to the south of Colfax and the Illinois Central Gulf Railroad runs directly through town. Colfax is situated in upper eastern McLean County about 15 miles east of Bloomington. The village was founded in 1880 by William Anderson and James Wood, well known farmers of the area who owned the land that the town was established on. The town was named after Schuyler Colfax, a former Vice President under President U.S. Grant. Colfax also served as Speaker of the House at one time. The town is located in Martin Township named after a famous doctor in the area at the time, Eleazer Martin. 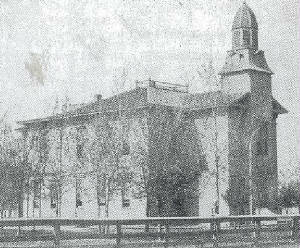 The first high school classes offered in Colfax began in 1891, ten years after the first school house was built. Colfax had some hard luck when it came to fires. 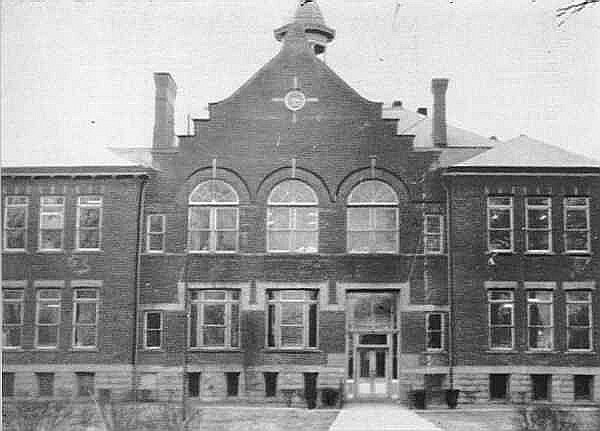 The original school building was destroyed by fire in 1900. Subsequent fires destroyed parts of the school building in 1903 and 1948. 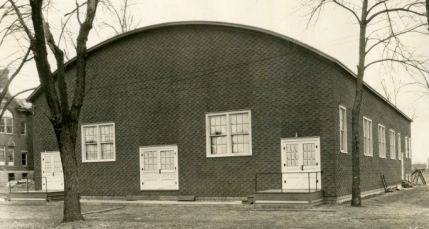 The gymnasium was destroyed by the fire of 1948, causing the Colfax boys basketball team to play its "home" games in nearby Anchor or elsewhere. Colfax High School served the town of Colfax only through the 1949 school year. It was then that the towns of Anchor, Cooksville, and Colfax agreed to consolidate their high schools. This consolidation effort resulted in the creation of the Octavia School District, which was centrally located in Colfax. 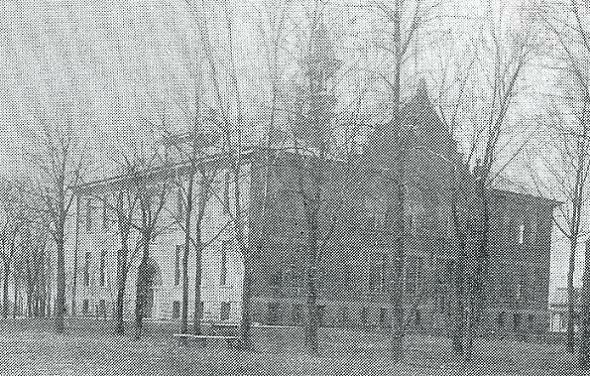 The Colfax High School building built in 1903 was razed in 1973. Though no evidence of IHSA hardware being won by a team was found, the Colfax Tigers were known in the area as a tough group to play against in any athletic venue. 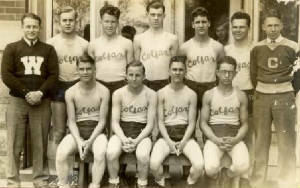 The boys competed in football, basketball (remember, no home games after 1947), track, and possibly baseball. One male athlete, Tom Tipton, won a medal at the state track meet. The Tigers competed in the Tri-Valley Conference with fellow conference members Anchor, Arrowsmith, Bellflower, Cooksville, Cropsey, Downs, Ellsworth, Saybrook, and Towanda....schools that are also featured on this website. If you have any information about the athletic successes attained by the Tigers, please e-mail us at eganann@sbcglobal.net. The school at Colfax had a small enrollment, making it difficult to compete in regulation 11-man football. The late 1940's saw the inception of six-man football in Illinois. Only a few teams took up this sport and the Colfax High School Tigers were one of them. 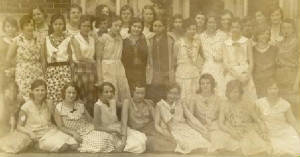 They often traveled far to play their games, including trips to Tolono (whose program was very successful). That is, until they played their rivals Lexington. 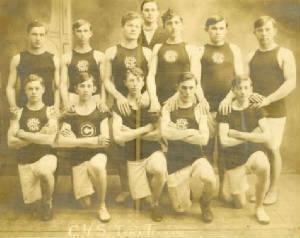 When the game was played in Lexington, the Colfax boys played 11-man football. But when the game was hosted by Colfax at its home field in Cooksville, the game reverted to 6-man football. Some great pictures of the Colfax Tigers and history of their teams can be found at www.ridgeviewfootball.us, a site maintained by current Colfax Ridgeview Head Football Coach Mike Benton. As stated in the history portion of this page, Colfax High School's gymnasium was destroyed by fire in 1948. The basketball games from then on were played on the road, even the home games were held in a nearby town. In 1920 and 1921, the Tigers won the Junior Division of the McLean County Tournament. Scores from games played by Coolfax High School in the IHSA State Tournament were located on a website titled "Illinois Postseason Basketball Scores." These scores are plsted below. We are also looking for more information on the basketball successes of Colfax High. 1921-22 Bloomington District Tournament Coach's name & record needed. Bellflower lost in 2nd Rd. **1948-49 Postseason scores, record, and coach's name needed. **Last season for Colfax High School. Became known as Colfax Octavia for the 1949-50 school year. The Colfax Tiger tracksters had some great seasons as well Below is a photo of the thinclads of 1910-11 who won the McLean County track & field championship!! Also pictured is Tom Tipton (on the right) who won CHS's only medal at the IHSA State Meet. The year was 1932, when the IHSA Track Meet was a "one class" affair, that Tom Tipton made the Colfax folks proud. Tipton ran the grueling 880 yard run in a time of 2:01.7, good enough for 3rd place in the entire state! Excellent information can be found on the website www.ridgeviewtrack.com/halloffame.htm, a site developed by current Colfax Ridgeview High School Coach Mike Benton. The students of Colfax High School were offered a wide variety of activities to help round out their education. Glee Club, choir, band, and many other extra-curricular activities were available so that all kids could be a part of the great school spirit of CHS.